June 18, 2013: No longer support Liberty Reserve and Skrill. Probably these name are false, but stay aways from this scammers. IBCFX is not regulated at all! They’ll keep your money, your profit, everything. This in my experience, but unfortunately I’m not the only one, I’d only like to be the last one. i have same issue with arabic department!! they refuse to pay me my profits till now. returned my first payment only, and first profit withdraw 2750$ is lost since 1 month (it didn’t deposit in my account). and still i have remaining in my account 7426.09$ they are refusing to approve any withdraw on it for no reason. I finally got all my money, but after 2 months battling, threatening… So it’s possible ! Send them many many email as much as possible, at all mail adresses you have from ibcfx. Good luck to all, it’s a bad broker, but you can have back your money ! to be honest, I think you exaggerate. At the end I got my money. Profit and everything. In fact I even invested again with them and until now nothing wrong happened. I personally always traded by my own so I can’t say about the fund managers they have. The only think is that the withdrawal was made a week later. But I don’t really care. I’m not sure they are the same as IHforex, and personally didn’t have any experience with ihforex but I really got a good impression with IBCFX. Plus the owner of the company seams to be Mr. Peter Brendon WYLLIE. Note: Post received from Confirmed proxy server. Just close your positions and then try to withdraw money, and then you will see if you succeed… For me, always refused ! 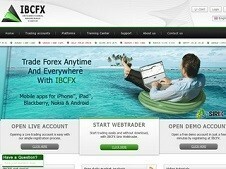 IBCFX was IHForex… Bad news for all of us ! Well, I’m very worried about all those review because I deposited 18,000 EUR with them. For the moment I have opened 3 Positions that are in profit. I’m about 26,000 Eur now. I was thinking to withdraw the profits, but hearing your reviews I will ask for the entire amount! Hi Alex : Its a pity the situation you have with this people of IBCFX . You were asking what´s wrong with NZ regulation. ? Nothing is wrong !!! These people are NOT regulated at all. they have been de- registered form the FSP register as you may read on the website. they are also banned by the FMA . the are simply telling lies on their website telling that they are regulated. 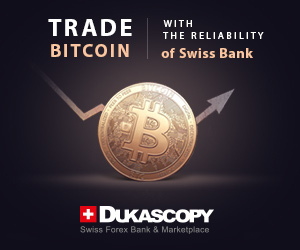 I´m telling you this because my company is a FSP NZ´s Registered brokerage since some time ago. It has not been easy to achieve. We are very proud about our NZ ´Registration and the opinion of our clients in more than 14 countries right now . For us, and for me as the CEO, its a pity to see these kind of situations happening. I hope you will recover your money back. By the way if you are a successful trader and capable to make consistent profits you may participate in our Synergy Trading Project .We are looking for the best people all around to trade our Portfolios. Feel free if you want to contact me on Skype : smfxfinance .I speak English ,French and Spanish. Have a nice day. did you got your money !? ibcfx : I made some profits (by myself only… the manager is very bad), but then I try to withdraw my money, impossible, always refused. I try to contact them by email, chat or tel : no answer… I’m quite desperate to loose all my money. Keep out of this broker ! Thank you so much for your post! I have been damaged by IHForex and I was going to fall again in their trap!! They have changed their name, They they were a criminal broker which had disappeared with a lot od money of theirs clients. I have had the proof that they were IHF because the promoter which has called me told to me that they already knew me.. how? because they were IHF!! They have contacted me for opening a new account promising great gains but I have rejected. They don’t have any regulamentation except of New Zeland. Keep away from them! le capital est devenu 15000 US, la perte en trading 7000 US !!! On se croirait à la loterie ! Really unprofessional broker, I think it’s just guys who want to get rich overnight there! I checked out their site and features, mostly copy from other sites, change name, etc. Sometime they even forget to change the name! IHForex has enough bad reputation and they decide to follow it! Wondering if it’s the same owner as IHForex? Really questionable and should stay away!